This novel, first published in Britain 19 years ago, dramatizes the life and career of J. Robert Oppenheimer, a genius physicist indelibly marked in the American conscious as inventor of the atomic bomb. Whats great about this novel is the constant interplay between Oppenheimers lust for scientific achievement and his horror or at the prospect that he might succeed. 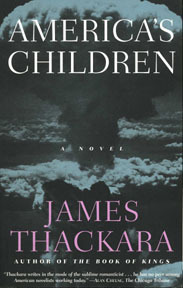 The novel focuses on the short period, only a few years, when the idea that such a bomb might be possible was first being explored. In 1943, our country almost two years at war, Oppenheimer accepts the head of a secret military laboratory in desolate Los Alamos, New Mexico. If practicable, They are to design and assemble a chain reaction bomb. Months stretch into years as many promising ideas lead to dead ends. Some pan out, however, and the project lurches forward, consuming huge amounts of money. The pace quickens as the first A-bomb is tested at Trinity, Heroshima is bombed, and, with terrifying logic, the hydrogen bomb is tested in the Pacific. The book is meticulously accurate in recounting this history, but its great fascination to me lies in its account of the moral dilemma Oppenheimer and his fellow nuclear scientists face as they approach their goal. The work that scientists do can have enormous and in some instances disastrous impact on our world, as these researchers saw with increasing clarity.